BAT - BLOG : BATMAN TOYS and COLLECTIBLES: Sweet Batman Movie Replica Car Spotted in Canada! 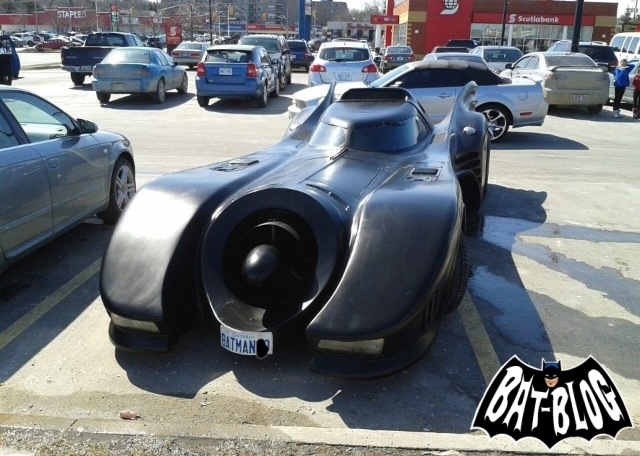 Sweet Batman Movie Replica Car Spotted in Canada! We have a friend who lives in Canada and the amazing thing is he spotted the Batmobile the other day!! He spotted it in a parking lot in Orangeville, ONT on Saturday, March 30th, 2013! !